Kentucky Green Party members may submit items to be considered for Monday’s Steering Committee meeting at info@kygreenparty.org. 5.4 The Steering Committee shall meet at its discretion, in person or by electronic means. Timely notice of Steering Committee meetings and meeting minutes shall be sent to all local groups, posted on the Party’s web site, and advertised in any way the Steering Committee deems necessary. All Steering Committee meetings shall be open to members of the Party, but only Steering Committee members shall have a vote. In the case of meetings held by telephone conference call, video chat, or other electronic means, any interested member shall be allowed to participate in a nonvoting capacity by notifying the Steering Committee of their interest, after which the Steering Committee shall provide them access to participate. 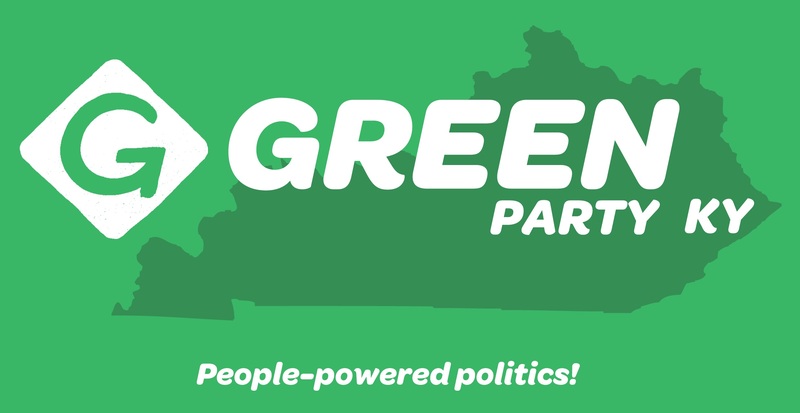 Previous Previous post: Help Get the Green Party Candidates on the Kentucky Presidential Ballot!